Latest additions to the bookshelves of the leading book shop in Peasedown St. John! More great books like this at BookLovers of Bath: England Fiction. England customs century Fiction. From the cover: In the terrible aftermath of the moorland battle of Culloden, the Highlanders suffered at the hands of their own clan chiefs. Following his magnificent reconstruction of Culloden, Prebble recounts how the Highlanders were deserted and then betrayed into famine and poverty. While their chiefs grew rich on meat and wool, the people died of cholera and starvation or, evicted from the glens to make way for sheep, were forced to emigrate to foreign lands. From the cover: The American Revolution exhibited a varied array of army and navy uniforms. This work presents them, from brass-buttoned British generals to threadbare colonial infantrymen at Valley Forge. Also included are flags, headdresses and weapons of the American, British, French and German armies. From the cover: A highly illustrated in-depth analysis of all the armies involved in the epic tragedy of Napoleon Bonapartes Russian campaign including many primary historical sources never before translated into English and detailed orders of battle of the contestants. Illustrated by way of: Black & White Photographs; Colour Photographs; This study looks at the development of porcelain in the past 20 years. It gives particular consideration to the technical achievements, the working methods and aesthetic concerns of ceramicists who work in this medium and its close relative, bone china. Illustrated by way of: Black and White Photographs; Over the past few decades, investigative journalism has come to mean the kind of brave reporting that exposes injustice, wrongdoing and, above all, the abuse of power. At a time when journalism is under attack perhaps as never before, this celebration of the very best of investigative journalism, and some of the greatest practitioners of the craft, could not be more timely. Illustrated by way of: Black & White Photographs; Maps; From the introduction: This atlas of the main military and naval events of the Second World War has been divided into sections representing the general theatres of the war. Each theatre is followed to its conclusion through the text, which explains and amplifies briefly the details given in the maps. The various theatres did not, of course, exist in isolation, though to the majority of combatants at ground and sea levels it must have appeared that they did. Events in one theatre of war naturally affected events and decisions in other theatres. These events must be assessed in parallel if the many pressures that influenced their course and outcome are to be appreciated fully. From the cover: IRON BOTTOM SOUND IT GETS ITS NAME FROM ALL the ships that sank there. From August to November of 1942 the tropical waters off the small island of Guadalcanal were the scene of some of the fiercest sea battles of World War II. Fifty years later, Robert Ballard, the man who discovered the Titanic and the Bismarck, took his exploration team to Guadalcanal. Their goal was not one ship but an entire naval battlefield. On board were some of the men who had served on those ships that now lay beneath Iron Bottom Sound. The memories of these survivors help tell a powerful, poignant story of men and ships and war. The Lost Ships of Guadalcanal re-creates the whole story of the campaign that changed the course of the Pacific war. For all the fame of its air and land battles, Guadalcanal is also a compelling story of sailors and warships. In fact, more Americans died in Guadalcanal waters than on land. The terror and confusion of night naval action is conveyed here in gripping chapters that describe first the bitter American defeat in the Battle of Savo Island and then the struggle to eventual victory in the climactic Naval Battle of Guadalcanal. We then descend in Ballards submarine to view scenes of American, Australian, and Japanese ships lying together on the ocean floor, their guns still eerily pointing at each other. With over 300 illustrations, this book has all the pictorial richness that helped make bestsellers of Robert Ballards two previous books, The Discovery of the Titanic and The Discovery of the Bismarck. Haunting pictures of the wrecks are paired with photographs of the ships in their prime; a spectacular full-page foldout reveals the USS Quincy and the Canberra, painted in accurate detail by maritime artist Ken Marschall. Full-colour maps and diagrams plus a host of paintings and present-day photographs help to both re-create this extraordinary chapter in the history of the Pacific war and convey the excitement of modern underwater exploration. First British Edition. [First Published: U. S. A. , as Chronocules]. From the cover: The extraordinary wartime exploits of the British codebreakers based at Bletchley Park continue to fascinate and amaze. In his bestselling Station X Michael Smith brought us the astonishing true story of the breaking of the Enigma Cipher. In The Emperors Codes he continues the story as he examines how Japans codes were broken, and the consequences for the Second World War. The Emperors Codes moves across the world from Bletchley Park to Pearl Harbor; from Singapore to Colombo; and from Mombasa to Melbourne, describing not just how the Japanese codes and ciphers were broken but how the lives of the codebreakers, both professional and personal, were affected. It tells the stories of John Tiltman, the eccentric British soldier turned codebreaker who made many of the early breaks into Japanese diplomatic and military codes; Eric Nave, the Australian sailor recruited to work for the British who pioneered breakthroughs in Japanese naval codes; and of Oshima Hiroshi, the hard-drinking Japanese ambassador to Berlin, whose candid reports to Tokyo of his conversations with Hitler and other high-ranking Nazis were a major source of intelligence in the war against Germany. Many of these revelations have been made possible only through using recently declassified British files, through privileged access to Australian secret official histories, and interviews with an unprecedented number of British, American and Australian codebreakers. Where previous books on the subject have emphasized the role played by the Americans, The Emperors Codes is the first full account of the critical role played by British and Australian codebreakers. Using the memories of those at the forefront of this battle, Michael Smith reveals a gripping and previously untold story from the Second World War. Illustrated by way of: Black and White Photographs; This classic account of the marriage between Vita Sackville-West and Harold Nicolson is regarded as one of the most revealing and endearing portraits of literary life at the time of the Bloomsbury circle. From the cover: Whimsical waisted cupboards, colourful baskets and bowls, gutsy armchairs and fantasy picture frames have all been created from reclaimed materials; something that has already had one life but has been rescued, recycled and recreated into something new and original. This book looks at salvage, ransacks the reclamation yards and gets insights from architects, designers, and enthusiasts on the practical use of recycled materials. From the cover: Leading poet and former professor of English Literature, Jon Stallworthy, tells the story of the lives and work of twelve major poets of the First World War and provides selections of their best work. From the cover: Provides the facts, figures and guidance about World War I required by students of all levels. The book features each nation involved, all battles and campaigns, the weaponry and the commanders, and is arranged in an easy-access, highly-illustrated format. Rising Tide: The Untold Story of the Russian Submarines That Fought the Cold War by Gary E. Weir & Walter J. Boyne lands on the shelves of my shop. New York: Basic Books, 2003, Hardback in dust wrapper. From the cover: Of all the Secrets the Soviet Union kept, none were more closely guarded than those involving their submarines. Throughout the Cold War, Soviet submariners patrolled the worlds oceans, playing a deadly game of cat-and-mouse with their American counterparts in a silent struggle hundreds of feet below the surface. For the first time, Rising Tide tells the Soviet side of these secretive operations. Drawing on newly available archives, as well as interviews with a dozen former Soviet commanders access never before granted to Western researchers this gripping narrative shows that confrontations between nuclear-armed subs were far more dangerous than we ever thought. With sixteen pages of never-before-seen photos, Rising Tide recounts successful Soviet operations, including top-secret exercises off the American coast, and espionage coups, such as the spy-ship that monitored American missile tests off the Florida coast and collected the debris in full view of the US Navy. All too common were the near-misses, heroic rescues, and deadly catastrophes that plagued Soviet submarines over the years, including the horrific nuclear accident on board the ill-fated K-19, later nicknamed the Hiroshima; the internal fire that sank the K-8 in 1970 with twenty-two sailors on board, and the dramatic escape of crewmembers from the Komsomolets in 1989, as narrated by a survivor. Russian submariners fought two battles in the Cold War: one against their American opponents, and another against the cruel Soviet leadership that knowingly put their lives at risk and caused so many needless deaths. Rising Tide also provides dramatic first-hand evidence that the final decision to launch a nuclear weapon resided solely in the hands of Soviet sub commanders. 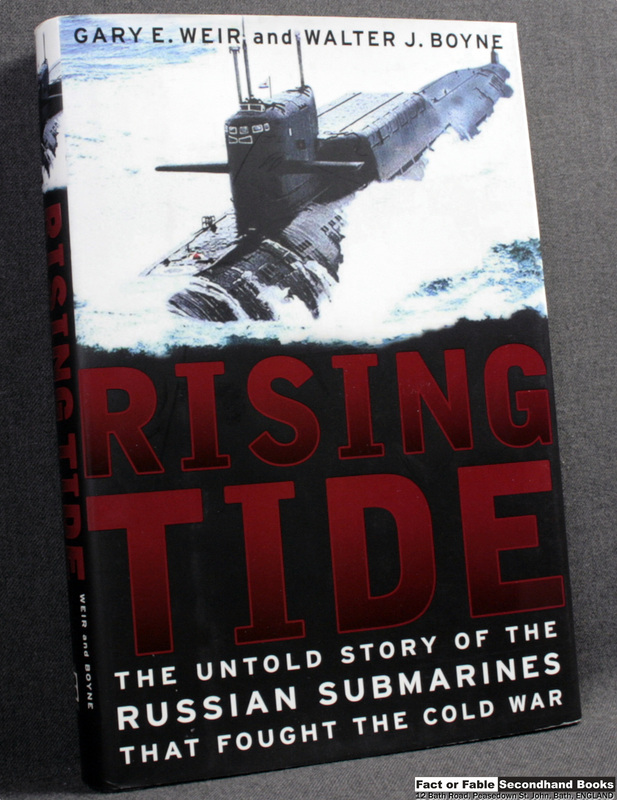 From the Cuban Missile Crisis to the tragic sinking of the Kursk in 2000, Rising Tide offers an extraordinary insiders history of the Soviet submarine service, and sheds new light on the darkest secrets of the Cold War. Very Good in Very Good Dust Wrapper. Black boards with Silver titling to the Spine. [XIII] 354 pages. Index. Bibliography. 9½” x 6¼”. Of course, if you don’t like this one there are plenty more available here! 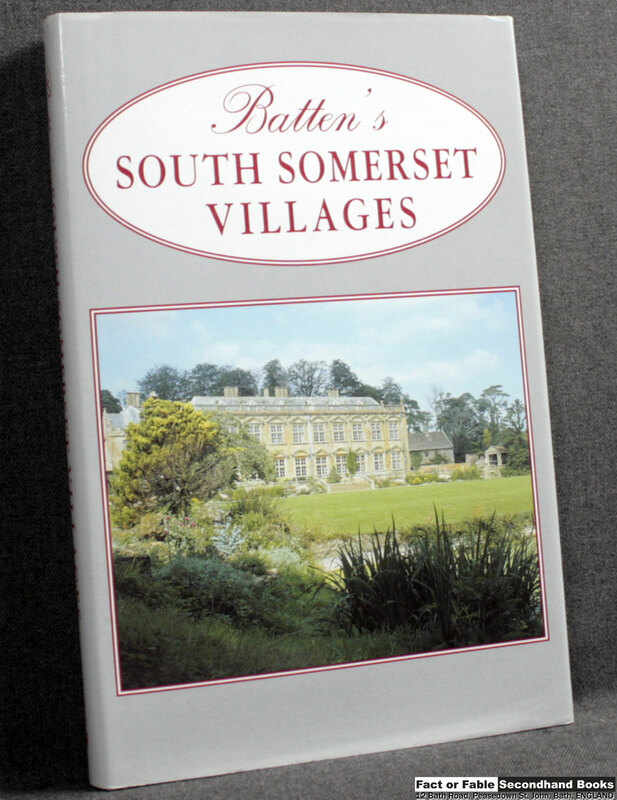 Batten’s South Somerset Villages by John Batten lands on the shelves of my shop. Tiverton: Somerset Books, 1994, Hardback in dust wrapper. It charts the history of ten South Somerset villages Barwick, Chilton Cantelo, Sutton Bingham, East Coker, Brympton, Houndstone, Preston Plucknett, Limington, West Coker and Hardington Mandeville from the Domesday Survey (1086). This fascinating facsimile edition (including rare early photographs) will make compelling reading for all those who live in, or appreciate from a distance, this beautiful part of Wessex. It examines in detail the families, lands, houses and churches around which have been constructed a thousand years of history, and which have left their legacy in present-day South Somerset. Battens original text is complemented by a completely new introduction by Robin Ansell, outlining the authors local back-ground and historical writings. Grey boards with Gilt titling to the Spine. 199 pages. Index. 9″ x 5¾”. Books Hitting The Shop Shelves Now!